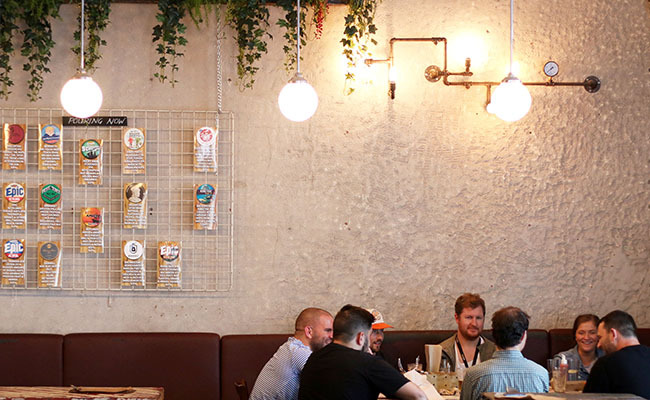 Bask in the afternoon sun and meet up with friends over a quality craft beer. The heart of the city has options for every occasion and every beer connoisseur. End your day with a bottle of Brothers Craft Beer in your hands. Simple, clean and refreshing, Brother’s will quench your thirst. With over 200 bottled options and 18 on tap, from the crisp flavours of the Tropical, to the toffee notes of the Amber. Order a side of Paprika Fried Potatoes for an extra treat. 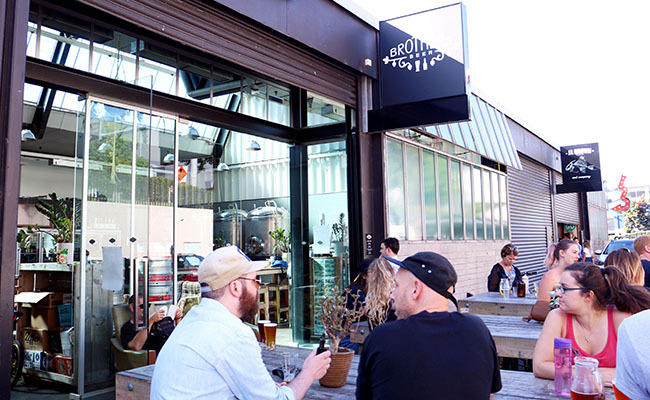 Set yourself up on the deck of Dr Rudi’s, with a view over Auckland’s Viaduct Harbour and enjoy their very own brews with a side of legendary beer-battered pickles. With four great in-house brews to choose from, order Rudi’s Tasting Paddle to try them all. Sticking to labels that brew enthusiasts know and love, The Brewers Co-operative is all about bringing you quality craft beer. 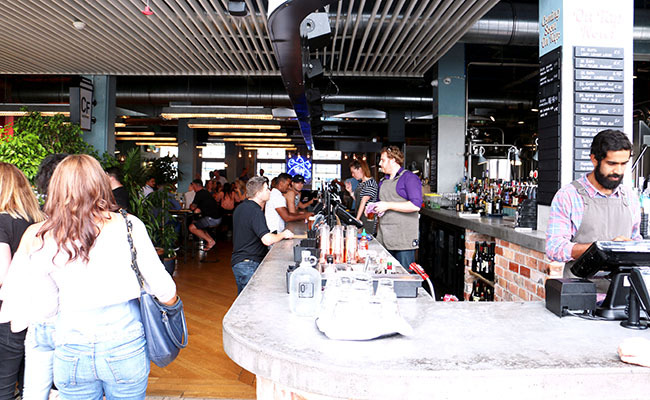 With new flavours being introduced regularly, this inner-city location is the go-to for new and exciting experiences. Keep a side of kumara fries within reach for a delicious accompaniment. 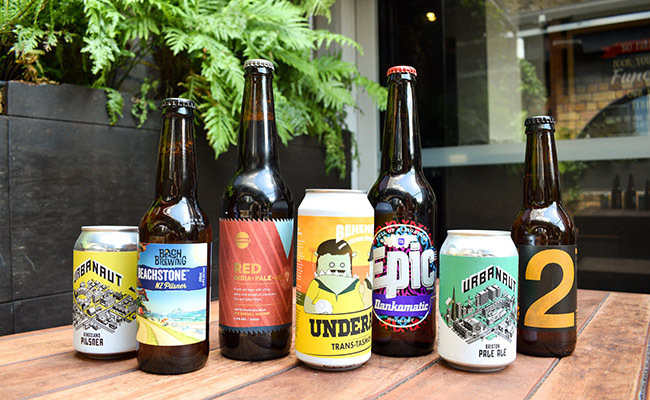 With several tempting on-tap options, Brew on Quay has made it easy with a ‘Brew of the Week’ to keep things exciting. Order a side of Cloudy Bay clam popcorn to pair with your drink of choice. 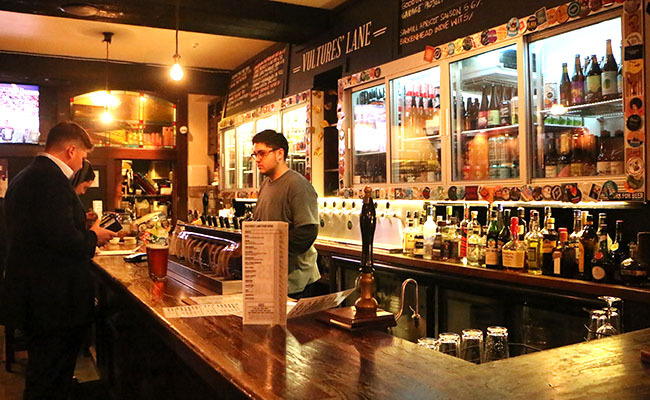 With an abundance of Lagers, Pilsners and Pale Ales, there’s a flavour for every kind of mood at Vulture's Lane. With mouth-watering sides such as wings and mac & cheese, it’s hard to resist a cold brew to go with them. 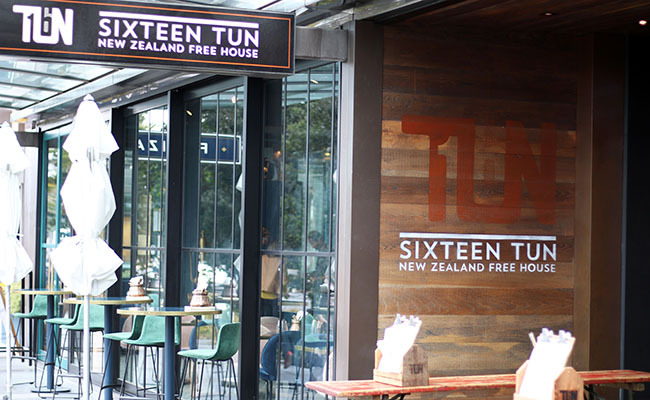 Passionate about providing the best beer New Zealand has to offer, 16 Tun offers craft beer from independent brewers all around the country. Enjoy the charismatic atmosphere of 16 Tun and snack on a side of delicious crispy calamari.